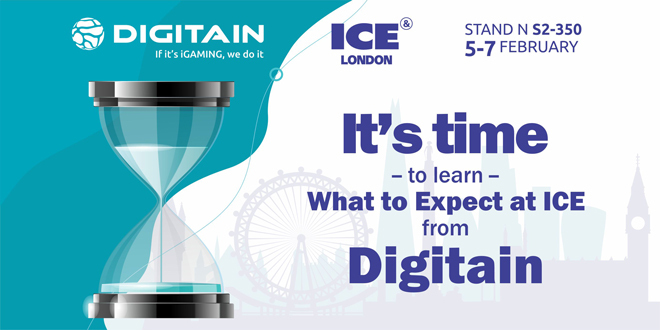 It is hard to believe another year has come and gone and the annual pilgrimage to the ICE 2019 Gaming Show at London’s ExCeL is nearly upon us, never mind the onset of a new decade approaching and the changes that may bring. 2018 was a rumbustious year and who would have predicted that one of the world’s largest sports betting markets, the United States of America would open into what is the new Klondike Gold Rush for operators and platform providers seeking growth opportunities. ‘Innovation ‘continues to be the assertion for the last few years that drives both platform providers and operators alike. Of course, now that innovation is ingrained in the industry’s synch, we need to build on that and indeed strive to excel on all levels. ICE 2019’s theme is ‘Spirit of Genius’ which does evolve and capture the mercurial event of epic proportions which is ICE. So what can you expect from Digitain at this year’s ICE and beyond? At our booth S2-350, you can expect a warm welcome from our team of talented iGaming Digital Experts, who hail both from B2C operations and B2B technology delivery, which provides a unique pedigree of over 15+ year’s sector experience. You will meet the people behind the technology, the people behind the lines of code, the people that along with you, our valued customers, that can and together shape the delivery and trajectory of your business. 2019 is the year of co-development, and inclusion, as the lines of the traditional supplier-client relationship are blurring, it’s no longer, them and us attitude or long development cycles. The growth in API technology applications has helped deliver a more inclusive, collaborative approach to technology, development, and brand differentiation and client/supplier relationship management; it’s all about the customer experience. Clients are now empowered to take control of the co-development cycle, through the creation of transparency, productivity and efficiency tools and micro-services / applications, which as a company Digitain provides and has an extensive roll-out planned for this year and beyond into the new decade. We believe in delivering a higher degree of player interactivity and more personalized betting ‘experiences’ and become less product orientated and process driven. Personalized gambling like many forms of gambling which is undertaken in solitude will become less about the winning and the chance to win money; it will become more about the entertainment proposition that is such as successful formula in the social economy and social gaming at large. Why the now generation demands entertainment for little or no financial outlay – it’s the freemium economy. We shall also be unveiling our new productivity tool that embodies our values of co-development with our partners, and it’s called DGBuilder. DGBuilder we believe is unique in the market as it is not only a full-service application for building front-end websites for your brand. It allows the ability to control your brand and user experience, to optimise brand metrics such as customer experience and conversion funnels, site navigation, but more importantly product verticals and gaming content in a frictionless drag & drop functionality.